Missing Evidence re-opens the files on the mysteries that continue to raise headlines around the world. By sourcing new documents, using the latest technology or airing previously unheard eye-witness accounts we reveal: the shocking new evidence that implicates Robert Kennedy in Marilyn Monroe’s murder; the incredible omission in the official report into the Twin Towers’ collapse; the dogged research that finally revealed the identity of Jack the Ripper; the untold story behind the sightings in Loch Ness; the complex truth about Big Foot and the strange atmospheric conditions that explain the litany of disasters inside the Nevada Triangle. 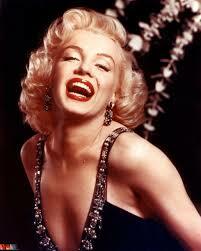 Marilyn Monroe committed suicide on 5th August 1962, according to the official report into her death. The first detective on the scene did not believe that it was suicide, however. His instincts told him that the screen goddess had been murdered. Monroeʼs death has been the subject of much speculation over the years. The FBI, the Mafia and even the Kennedys have at various times come under suspicion, but none of the accusations ever came to anything. We reveal the shocking content of the lost tapes recorded inside Marilyn Monroeʼs house on the day she died. After four years of research, the release of official conclusions left many unsatisfied. Both buildings were designed to survive the impact of a commercial airliner and the fireproofed steel structures should have survived the fires that followed – yet within two hours both towers had collapsed. 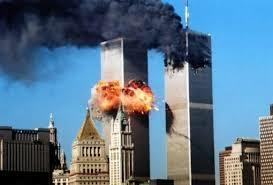 In addition, video footage of molten metal pouring from the damaged floors and eyewitness reports of explosions before the collapse were not addressed fully, fuelling conspiracies of a government plot to destroy the towers and drag America into a war on terror. Retired chemist Dr Frank Greening agrees that the report is unconvincing. He immediately spots a glaring omission in the official report – the missing evidence – the role of the airplanes themselves in the collapse. According to the official report, the aircraft disintegrated on impact and played no part in the events that followed. As a chemist, Frank Greening cannot believe that the presence of 30 tons of aluminium can be simply dismissed. In Norway, Dr. Greeningʼs work finds support from metallurgist Christian Simensen, who is also unconvinced by the official findings. After 30 years in the metal industry, Christian knows only too well that 30 tons of aluminum alloys in the heart of the fires and under the right conditions could be highly explosive. Together, Christian Simensen and Frank Greening calculate that the aluminum at the heart of the office fires can explain the molten metal seen pouring from the towers and the reported explosions that they believe triggered the catastrophic collapse. During a three-month period in 1888, a knifewielding serial killer murdered six women on the streets of Whitechapel. Their throats were cut and their bodies horribly mutilated. He was never caught and his identity remains one of the worldʼs greatest crime mysteries. In the years that have passed since Jack the Ripperʼs killing spree, many high-profile suspects have been suggested, yet the fact remains that none of them can be placed at any of the crime scenes. Now, journalist Christer Holmgren believes that he has found a suspect who can not only be linked directly to one of the murders but also whose daily routine could be consistent with all the other deaths. Holmgren has been studying the case for more than three decades in the belief that somewhere in the mass of records, some overlooked detail would point to the killer. His focus eventually fell on the seemingly trivial confusion that surrounded the testimony of a witness called Charles Cross. Cross is credited with finding the body of the Ripperʼs second victim, Polly Nichols. Yet when Holmgren looked further into the details, it emerged that not only did Charles Cross lie to a policeman on the night but also that he lied at the inquest and even gave a false name. For years the pseudonym ʻCrossʼ chose to give the police shielded him. Only recently have modern researchers discovered his real identity. Once Christer had his real name – Charles Allen Lechmere – a mass of incriminating evidence became clear. Lechmereʼs job, home and family tie him to every Ripper crime. 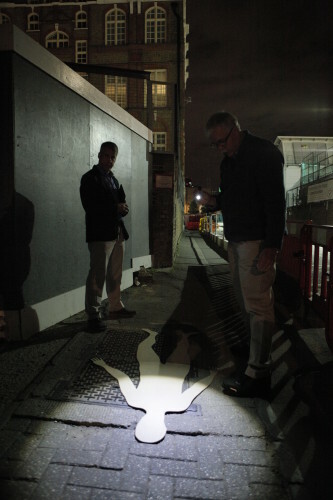 Christer travels to London to explore the Nichols murder in forensic detail. Did Jack the Ripper manage to lie his way past the police to kill again? Tales of a monster haunting Loch Ness go back for nearly 1,500 years, but only in the last century did the legend truly take off. Since the 1930s, over 1,000 eye witnesses have used mysterious photographs, eerie videos and unexplained sonar readings to back up their accounts of seeing the beast. The evidence is always tantalising but never definitive. At St Andrews University, Dr Charles Paxton, an expert on large marine creatures, has now compiled a unique database of every sighting of the creature ever reported. His team hope through detailed analysis of this astonishing database to finally explain the truth behind the myth of the Loch Ness monster. The programme looks at how hopes of finding a surviving dinosaur were dashed by a hoax that fooled everyone. In a sophisticated laboratory, staff explain the science behind the sightings of multiple-humped monsters on Loch Ness. Elsewhere, fabled Nessie hunter Adrian Shine recounts his decades-long search for the elusive beast. Historian Albert Jack believes that the mystery was kick-started by the sight of bathing circus elephants, which could account for reports of humped bodies, dark wrinkled skin and eellike trunks. This intriguing theory fails to account for all the sightings, however, and psychologist Chris French believes that he has the answer. Using Dr Paxtonʼs unique database, French reveals that the peaks and troughs in sightings over the last century coincide perfectly with dramatic events in popular culture. 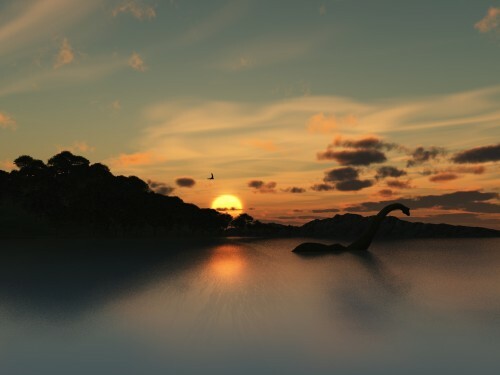 The real source of the Loch Ness monster, he posits, lies in the complex interaction between media reports of hoaxes, natural phenomena and everyday animals and our own monstrous imaginations. The Sierra Nevada has one of the most beautiful and dramatic landscapes in America. It is a land of extremes – from mountain peaks to scorching deserts – and the ultimate destination for thrill seekers. The Sierra Nevada is also a graveyard for over 2,000 crashed planes, including that of billionaire adventurer Steve Fossett. This is over 20 times more than the number believed to have been lost in the Bermuda Triangle. UFO expert Jeff Gonzales believes that the answer lies in the notorious Area 51. Rumours of captured alien technology have persisted since the Roswell incident in 1947. Gonzales believes that the testing of advanced alien technology is interfering with earthbound navigation systems. Aviation archaeologist Peter Merlin also thinks that Area 51 is responsible, but that the strange goings-on in the Sierra Nevada have nothing to do with alien technology. 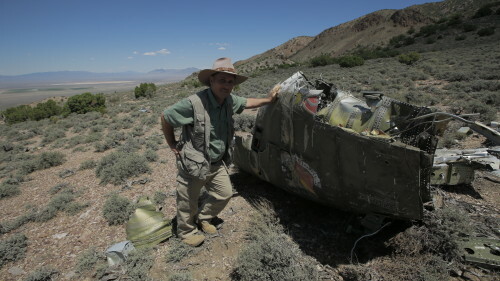 Standing over the wreckage of a military plane, he explains that Area 51 is a testing ground for advanced military aircraft – and prototypes are always more prone to accidents. That does not, however, explain the high number of civilian crashes. Researcher Kelly Redmond at the Desert Research Institute believes that the geology of the Sierra Nevada holds the key. The mountains rise to over 14,500 feet but plummet rapidly to the depths of Death Valley, 285 feet below sea level. Redmond believes that the contrast between such dramatic altitudes creates freak storms, but abnormal weather cannot explain the plane crashes that have occurred during perfect flying conditions. Zach Tolby at the National Weather Service in Reno believes that he has found the final piece of the jigsaw. He claims that the topography and weather conditions of the Sierra Nevada combine to create unpredictable downdrafts capable of causing aircraft to fall out of the sky. A giant ape-like hominid is said to live in the forests of North America. Eyewitnesses claim that it is up to ten feet tall and covered in foul smelling, brown fur. Shy and elusive, despite sightings over many centuries, the beast defies capture and no conclusive proof of its existence can be found. Some say it is a myth while others believe that it is a prehistoric relic, a distant cousin of humans that has somehow evolved beside us in the shadows. Stories of a giant walking creature have been told for centuries in the remote landscapes of Tibet and North America but it was not until 1951 when the explorer Eric Shipton took a photograph of huge footprints in the Himalayan snow that the legend took off. Very soon, eyewitness reports from the US and Canada suggested that an ancient species of hominid had survived in the remote American wilderness. This programme meets Jason Miller and his daughter Hailey, who both claim to have encountered the elusive creature on a family hike. Enter Jeff Meldrum, who has devoted his life to studying eyewitness reports and collecting physical evidence of the creature. 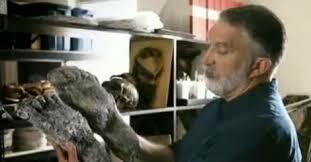 He has an impressive collection of plaster casts of Big Foot prints, which undeniably resemble large human tracks. Meldrum takes to a helicopter to survey the vast wildernesses where he believes that this elusive giant is to be found. Palaeontologist Donald Prothero, however, argues that the science behind population survival rules out an undiscovered species remaining undetected for so long. There would simply be too many of them to avoid detection in our age of advanced technology.